Dr. David Zohar, a clinical psychologist from Tel Aviv, Israel, founded a project to republish an updated version of Rabbi Hayyim Hirschensohn's writings. The objective is to bring these works to the public's knowledge, as they can offer a modern religious Jew ways in which one can combine modern values together with Jewish Values. 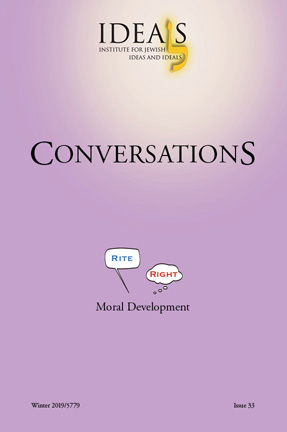 This new version which contains comments and explanations to better understand the writings and their context, by Dr. David Zohar, was published in 2006. Dr. Zohar is currently working on the second book, Malki Bakodesh Part II. Copies of the books can be obtained from the Shalom Hartman Institute, Jerusalem or from the Schechter Institute of Jewish Studies, Jerusalem. This article appeared in the first issue of Conversations, the journal of the Institute for Jewish Ideas and Ideals. Rabbi Hayyim Hirschensohn (1856-1935), who lived and worked in Jerusalem and in the United States at the beginning of the Twentieth Century, was born in Tzfat. His thought has intrigued many Jews who strive to combine Judaism and modernity, religion and life, thereby seeking to resolve the conflict between their firm commitment to Halakha and their growing openness to the modern world. R. Hayyim Hirschensohn was one of the few among the Religious- Zionist thinkers who confronted the challenges of modernity and grappled with the intricate halakhic problems inherent in the establishment of a modern Jewish state. For the first time, a systematic attempt was made to answer the question whether it is possible to establish a modern and democratic Jewish state on the very foundations of the Halakha; whether a state that empowers the people with legislative authority, embraces modern values and develops modern social, cultural, and economic order is compatible with the Halakha. This question is not restricted to the political realm. R. Hirschensohn would argue that the Torah goes hand in hand with the realities of life. In his view, within the Torah there are inherent mechanisms that make it possible, in principle, to accommodate the Torah to the ever-changing needs of life. His teaching entertains the possibility that the Torah is not opposed to most of the values that modernity offers to the believer. On the contrary, it is possible to re-establish full Jewish life by responding and opening up to the surrounding modern world. His parents, among the founders of the Hibat Zion movement, emigrated to Israel from Pinsk in Belarus in 1847. When he was 8, the family moved to Jerusalem and became one of the dominant families in their contribution to the Jewish Yishuv there. When he grew older, Rabbi Hayyim Hirschensohn was extremely active with Ben Yehuda in introducing the Hebrew language as the living language of the Jewish people. He established a magazine which researched Judaism, and was dedicated to current issues. Rabbi Hirschensohn also taught Judaism in the Lemel School. Due to his unconventional views and progressive educational methods, he was boycotted by the ultra-Orthodox stream in Israel. He emigrated to the United States and in 1903, settled in Hoboken, New Jersey, where he wrote most of his books. Almost all of his books deal with the question of how the Torah can be relevant and integrated into the modern life of a modern Jewish state. Rabbi Hayyim Hirschensohn was much admired by Jews of all streams in Hudson County. Upon his arrival in the United States, he became involved in public life. He invested a great deal of effort in Jewish education, and as Head of the Education Committee of the Union of Rabbis, he established the first Hebrew Kindergarten. He was among the first members of Mizrachi, and established deep friendships with Rabbi Reines, and Rabbi Dov Abramowitz of Saint Louis, and Rabbi Shafer of Baltimore among others. Rabbi Hirschensohn was very involved in the American Zionist movements, was aware of prevalent thought at the time, and he was influenced by American thought and culture on the issue of a Jewish State. R. Hirschensohn stands out as a halakhist par excellence. Most of the thinkers of his generation dealt with the questions of their time in journalistic, contemplative, philosophical, and prosaic ways. A case in point is the thought of Rabbi Abraham Isaac Hakohen Kook, R. Hirschensohn's contemporary. Rav Kook, too, saw himself as a member of the Jewish Renaissance Generation, the generation that witnessed the national revival of the Jewish people. As is well known, he was active in the renewed Jewish Yishuv in the land of Israel, and his initiatives often stirred a heated debate. He addressed contemporary issues by writing poetical philosophy unique in its kind, but his thoughts do not provide concrete answers to the question whether a modern, halakhically oriented Jewish state is possible; whether the religious-Zionist linkage between the Torah and modernity is viable. R. Hirschensohn undertook the challenge to demonstrate that Halakha is potentially capable of coming to grips with contemporary questions. As a rule, he perceived the essence of the "trouble of Judaism" in modern times in the apprehensive reluctance of the Rabbis to deal with these urgent questions. In his opinion, this conservatism had a detrimental effect. It distanced the young generation from the Torah, while at the same time reinforced the feeling of the Orthodox and the secular public alike that the Torah was incapable of meeting the challenges of the new era. In writing his books, R. Hirschensohn was not motivated by the desire to cater to the wider public. Rather, he aimed at the halakhic scholars of his generation. By introducing a halakhic debate on modern problems that was conveyed in conventional rabbinical language, he was striving to convince them of the ability of the Halakha to resolve such intricate problems. In 1918 Rabbi Hirschensohn participated in 21st Zionist Conference in Pittsburgh chaired by Judge Louis Brandeis, where all communities were represented, and outlined a plan for the establishment of the State of Israel on the basis of justice and equality. This American Zionist thought was based on the similarity they saw between the writings of the Jewish prophets and the basis of American freedoms and equalities, which attracted Rabbi Hayyim Hirschensohn. The delegates to the Conference adopted the resolution with respect to the establishment of a democratic government in Israel. Some of the delegates to the Conference felt embarrassed due to the difference between modern democratic political thought and the Historic Jewish ideal of a Kingdom. There is nothing in biblical law and Halakha which contradicts in any way progress or common sense. The objective of my research is to show that Halakha does not pose any obstacle to the development of private life or the life of an entire nation. His experience at the Zionist Conference motivated him to write his six volumes of Responsa, Malki Bakodesh, and in addition he wrote approximately 40 books in total. R. Hirschensohn devotes his voluminous Responsa book Malki Bakodesh to a halakhic discussion on contemporary questions. In writing this work, he envisages the urgent problems that the Jewish public confronted at the beginning of the 20th century (and which are still engaging our attention, as if an entire century had not elapsed since). 1) What regime is suitable in the Jewish state - democracy or monarchy? There is a definite relation between the commandments of appointing a King and the eradication of Amalek, and the Building of the Temple for sacrificial offerings. The King was needed to accomplish the destruction of Amalek. After completing this task, his next duty was to build the Temple for sacrifices. Moreover, the King had to be appointed only through a Prophet. (Malki Bakodesh, Part I, p. 16 - Foreword). As there is no longer Amalek, nor prophets, there is no longer the Mitzva of appointing a King. As such, Rabbi Hirschensohn argues that the Mitzva which would be appropriate in modern times would be to appoint a democratic government which would be elected by the people in their entirety, men and women equally. According to him, the desired from of government according to the Torah is a democracy. 2) How should the phenomenon of secularism and the secular Jews be treated? Upon his arrival in the United States, Rabbi Hirschensohn understood that secularism was a fact of life. He understood that secularism could not be solved by thinking that it was merely a temporary state. He proposed a more tolerant approach towards secular Jews and sought Halakhic solutions which would justify the modern state of affairs where Jews who were not Torah observant would still be part of the Jewish nation. The solution he proposed was that Jewish identity would be based on Jewish nationalism rather than religion. There is no doubt that religion in a major component of the Jewish identity, but not the only one. As long as a Jew retains a bond to his people, he will continue to be thought of as a Jew for all intents and purposes, even though he is not Torah observant. As a result, Rabbi Hayyim Hirschensohn established a common basis for both religious and secular Jews. 3) What should be the status of women in the modern Jewish state? One of the burning questions posed by Orthodox Jewry in the modern era was that of the Status of Women. This is a modern theory per se in keeping with the theory of equality between men and women. There is no difference - ontological or social-- between men and women and the differences are in the area of religious ritual only. In his books, R. Hirschensohn attempts to give a Halakhic response to the new historic situation which was created as the result of the Balfour Declaration. He states that it is imperative that we deal with national issues and not with problems of individual Jews as had been prevalent until now. It is now important to deal with the issues of national leadership of the nation which will soon earn its independence. The Balfour Declaration is the basis for the establishment of a Jewish State. R. Hirschensohn wished to prepare the Halakhic tools in order to create a constitutional base for a modern democratic Jewish state. These new problems include economic, societal, cultural, scientific and philosophical questions. There is nothing in Biblical Law and in the Halakha opposed in any way to the progress of civilization or to the rule of common sense. This is a fundamental principle by which we must be guided (Malki Bakodesh, Vol. I, p. 15 - Foreword). One of the consequences of Rabbi Hirschensohn's school of thought is the argument that Judaism can be a full partner in the multicultural discourse in an open society in which a modern Jew finds himself. In addition to traditional religion, the modern Jew relates to a number of other contexts which may include cultural, societal, historic, moral and political components which build his world. In essence "Man" is a multicultural creature whose identity is created by the many worlds surrounding him. As such Rabbi Hayyim Hirschensohn nullifies the Haredi (Ultra-Orthodox) view which seeks to isolate the Jew from the modern world and live only within the four walls of the Halakha. In essence Rabbi Hayyim Hirschensohn is continuing the Rambam's approach which sees Judaism in a broader context - as a Judaism that is influenced by both external and internal sources. Rabbi Hayyim Hirschensohn's thoughts present clear and positive positions towards modern values such as: democracy, status of women, the autonomy of the individual, rationalism and moral considerations. He argues that "a priori" it cannot be that Halakha would contradict the achievements of civilization. He states that God himself wants his people to choose Torah voluntarily and of free will. The type of approach enables one to adopt the modern humanistic consciousness, one in which "Man" determines and molds his fate. The question of "church and state" in Rabbi Hayyim Hirschensohn's thoughts reflects his efforts to combine the commitment to Halakha and adoption of modern values with respect to a free, egalitarian, democratic country, governed and ruled by the people. Under the assumption that the Jewish nation has a national and ethnic infrastructure, rather than only a religious one, Rabbi Hayyim Hirschensohn grants a common identity to religious and secular Jews. Rabbi Hayyim Hirschensohn found sources of inspiration in the model of freedom and democracy he saw in America. He felt that the model of a Democratic Republic would most suit the Jewish state. In this type of democracy, the common history of the people, nation, religion, and culture would mold the identity of the Jewish people in a Jewish State in Israel.